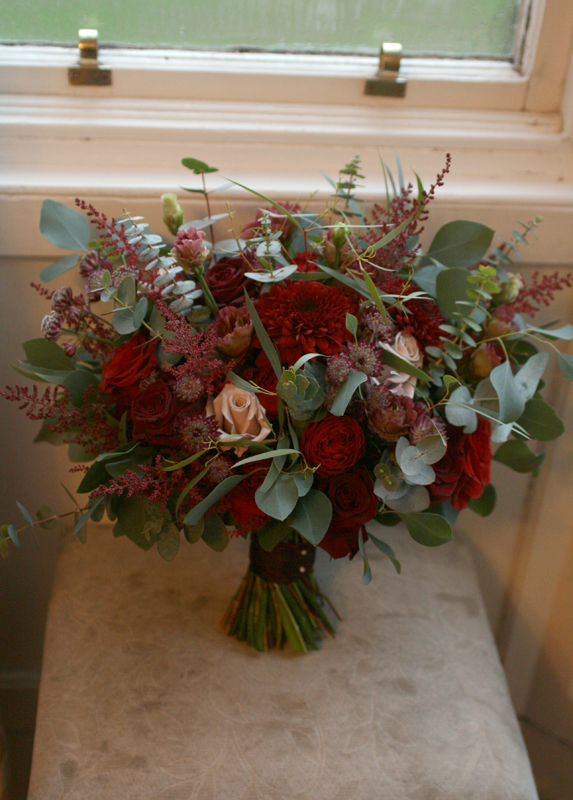 We were delighted to be back at Carberry Tower with flowers for the wedding of Catriona and Florian on Saturday. 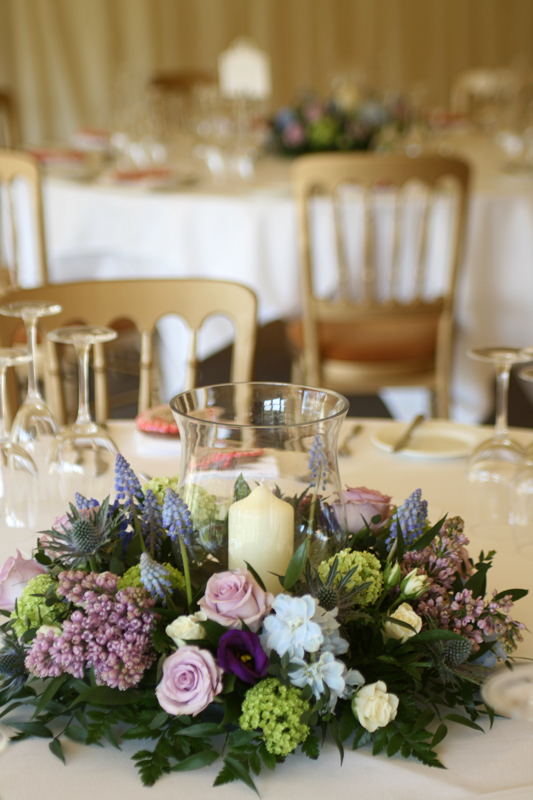 Carberry Tower is such a stunning venue with beautiful rooms and gardens and our studio is only 5 minutes from the venue. 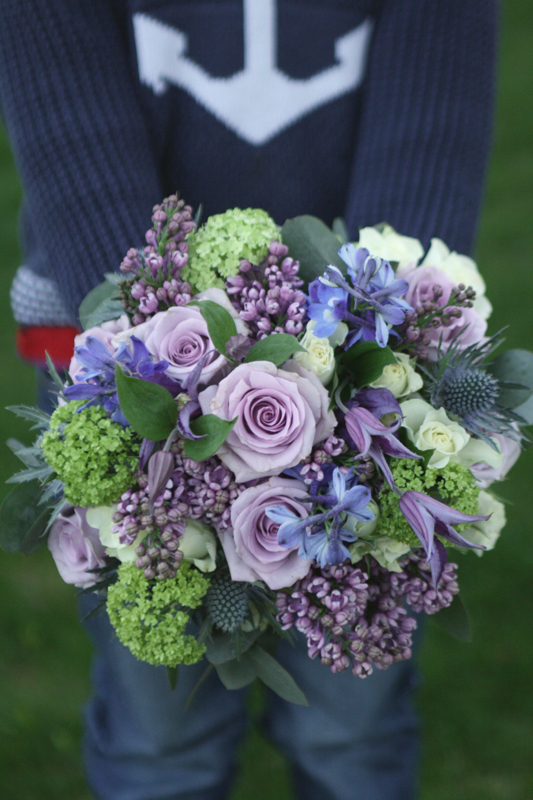 The colour scheme for the wedding was blue, white, green, lilac and purple. 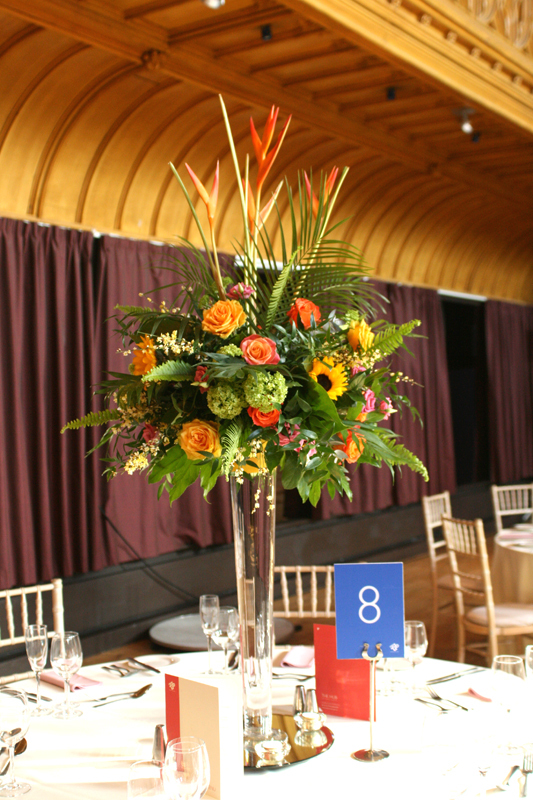 The meal was held in the marquee with hurricane vase arrangements for the tables and large pedestal displays. 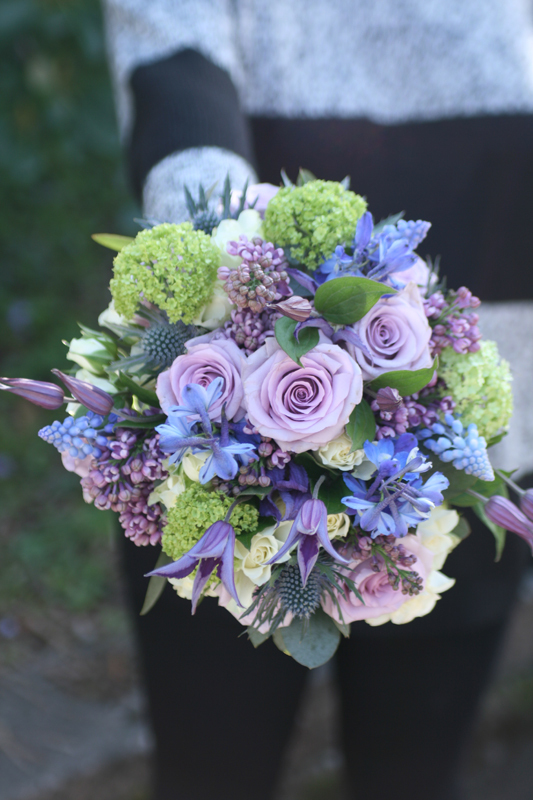 Catriona wanted to have a vintage style so the flowers that we used were ocean song roses, lilacs, muscari, spray roses, thistles, viburnum, clematis, delphiniums and foliage which gave the arrangements lots of lovely texture. Congratulations to Catriona and Florian and best wishes for the future.